Young stars less than 600 million years old shine brightly in X-rays, thanks to their age and rapid rotation. Lynx will provide a powerful compliment to the infrared excess selection criterion, which identifies young stellar objects wrapped in their natal material or circumstellar disks, but fails to find them after their disks have dissipated around 10-70 million years after the star's birth. Combined X-ray and infrared observations can therefore enable enormous advances in our understanding of protoplanetary disk dissipation, while sensitive X-ray data alone can uniquely provide a complete sample for followup studies. Chandra can only probe the entire stellar mass scale (from Brown Dwarfs to massive O stars) out to a distance of the Orion Nebula (about 400 parsecs) away. Athena will be source-confused in cluster cores 250 parsecs. Lynx can take these studies to 5 kiloparsecs. This distance reaches into the Carina-Sagittarius spiral arm, hosting many regions of far more intense star formation than is found in the Orion Nebula. Discovery and characterization of exoplanets is rapidly becoming a mature field. The emphasis will increasingly shift towards statistical characterization of the planet populations and the assessment of habitable conditions. The activity of the host star can significantly deplete planetary atmospheres, and at the same time may be required for primitive biochemistry. Studying the effects of stellar activity on habitability are especially important for planets around dwarf stars, the very population whose atmospheres will be accessible for studies in the 2020’s with large, ground-based optical telescopes and JWST. 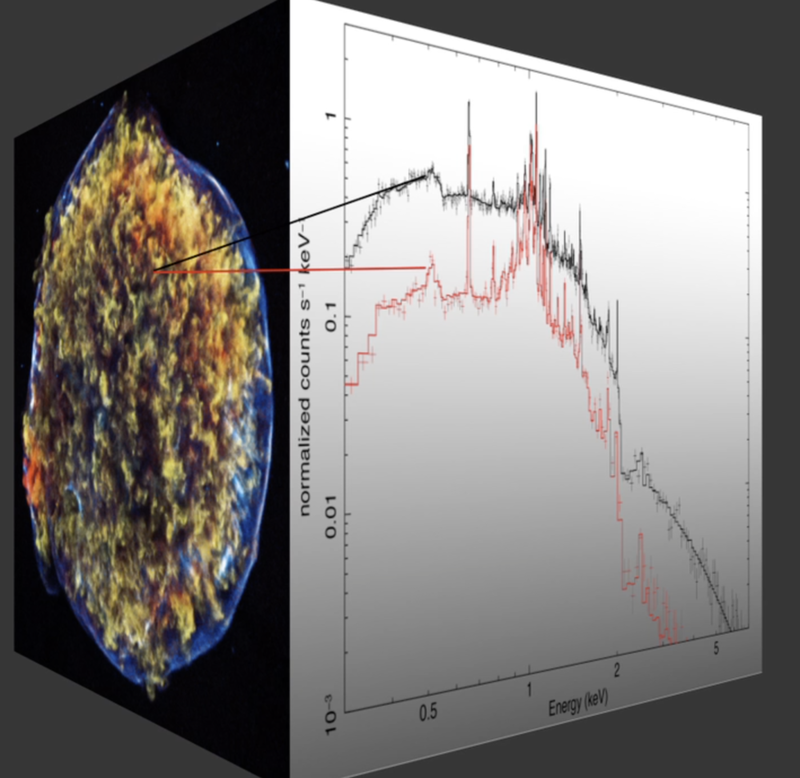 Lynx will detect X-ray emission as markers of young stars in active star forming regions, study stellar coronae in detail, and provide essential insight into the impact of stellar X-ray and extreme ultraviolet flux and winds on the habitability of their planets. While it is currently an open case whether the best candidates for habitable planets will be around G, K, or M stars, it is clear that understanding the role of the star’s ionizing radiation, stellar winds, and energetic particles will be of central importance in assessing the case for habitability. The aftermath of stellar death. For the Milky Way supernova remnants, such as Tycho remnant on the right, Chandra has resolved thin shocks where cosmic rays are accelerated, mapped ejecta distributions to constrain explosion processes, and uncovered a young neutron star in Cas A, leading to unique insights into its equation of state. The Lynx microcalorimeter will produce 3D maps of dozens of remnants, revolutionizing constraints from SNRs on the explosion physics. Lynx will resolve the LMC & SMC remnants and establish parent SN types within the Local Group, providing a census of stellar explosions in different metallicity environments. It will detect numerous young neutron stars currently missed due to lack of sensitivity. Spectral studies of recent core-collapse SNe within 10 megaparsecs will probe the circumstellar material ejected in the few thousand years preceding explosion. ripples in the cosmic pond. ligo will listen. lynx will see. A new age of multimessenger astronomy has arrived with LIGO discovery of gravitational waves from a merger of two neutron stars in 2017. Lynx will see neutron stars and black holes in binary systems throughout the Local Group of galaxies. Future gravitational wave experiments will hear when they merge. Together, we will learn a lot. X-ray binary populations are shaped by stellar and binary evolution, so observations can test key model ingredients such as common envelope phase and SN kicks. Evolutionary paths for some classes of LIGO sources, such as NS-NS mergers, almost certainly pass through a high-mass X-ray binary stage. Chandra observations of nearby galaxies mostly probe the upper end of the XRB luminosity function, so lack the range to discriminate among various models. Lynx will reach ~ 100× fainter than Chandra, providing the needed dynamic range. For a given X-ray luminosity, Lynx will cover ~ 1000× greater volume, increasing the number of galaxies to build up samples of rare objects.